On the 6 May 2012, South Africa’s hockey men were taking on Japan, the hosts, in the final of the Olympic Qualifying tournament. South Africa had been required to qualify for the Olympics a second time after the African Cup victory was seen as not good enough. To add to the challenge the group stage saw the hosts and the South Africans draw. South Africa had taken an early lead and were under immense pressure from Japan. But when the moment arose, the ice cool Lloyd Norris-Jones finished clinically to give SA the lead. Although Japan would later score it was Chuck’s goal that took South Africa to the London Olympic Games. A couple of years later on my birthday in November, South Africa took on Egypt in the African Cup final and trailed twice in the game. 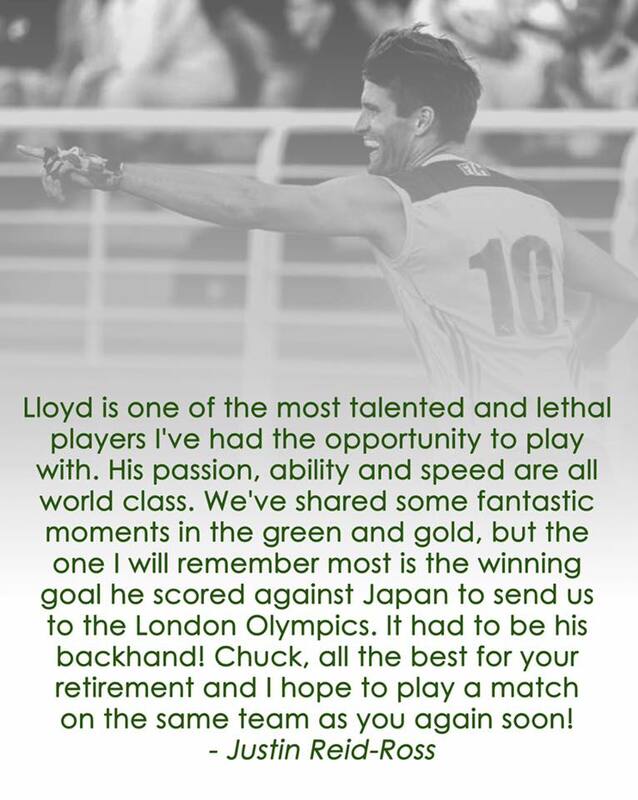 Lloyd scored the last goal of the game with a superb break with speed and individual brilliance to wrap up the game. It was a superb birthday present for me and yet another moment when Chuck had made South Africa proud. 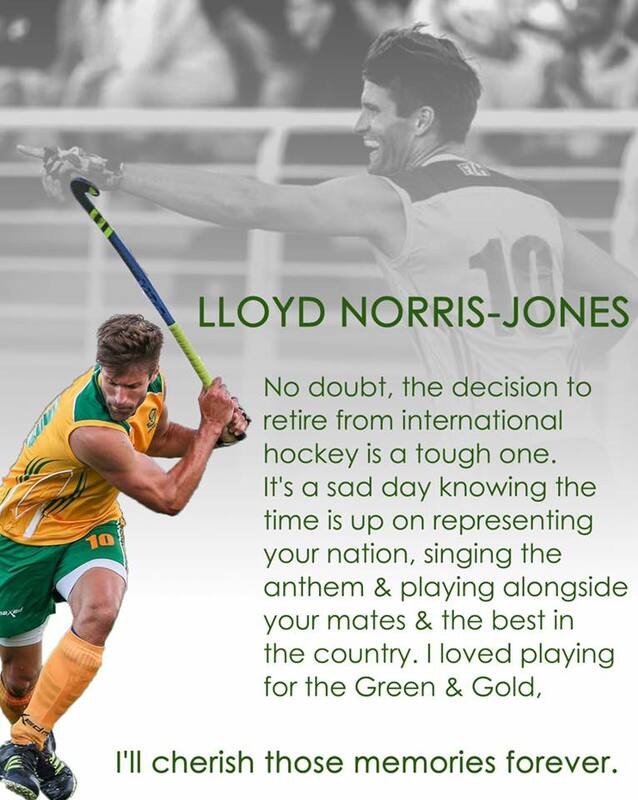 It was sad news when Lloyd told me he had decided to retire from International hockey, as despite his 140 caps for the country, I would have loved to see him play a bit more. I definitely would have loved my son to have the opportunity to watch the most lethal attacker we have had in South Africa in my hockey watching days. Where I really appreciated Chuck was when I was taking my first steps into the world of hockey journalism, he took the time to sit, chat and share information for me to write about. We had some fantastic chats around hockey at coffee shops or over the phone and I don’t expect that to stop any time soon. Thanks for the hockey memories Chuck, here is to many more! 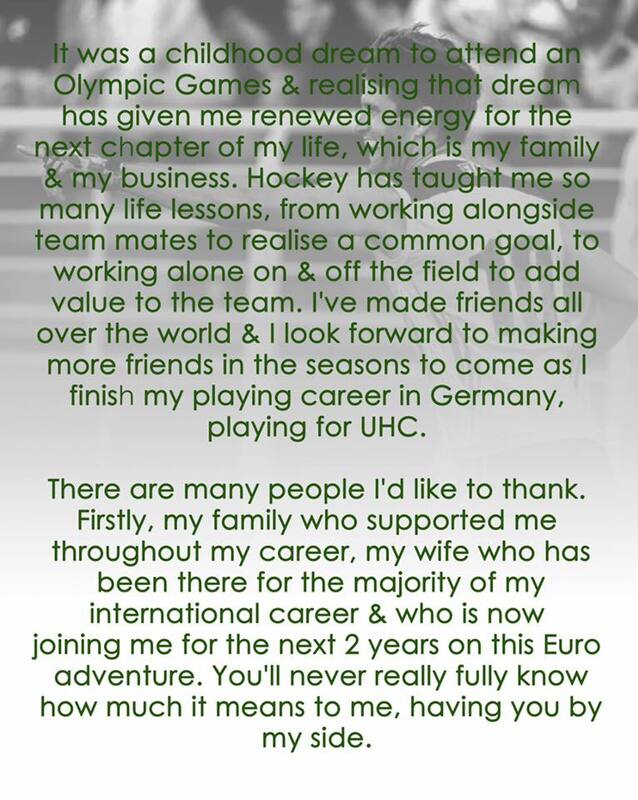 While South African Hockey fans will feel a loss, the fans of Hamburg are fortunate to be experiencing a gain! The odds were stacked massively against the South African Hockey men as they took on World number 3 Belgium in a backs-against-the-wall battle to try and secure progress to the cross overs. They would also be up against another South African coach as Belgium have the services of Craig Fulton, an Olympian for South Africa, as their assistant Coach. Unfortunately for South Africa Belgium are too good to just take it. Alexander Hendrickx is the in-form penalty corner specialist for Belgium at the moment and his two goals from penalty corners in the first half sandwiched a neatly taken field goal by Player of the Match Simon Gougnard. A fourth goal was added when Loick Luypaert also showed his prowess from the top of the circle. The half-time stats spoke for themselves, while possession was nearly equal between the teams, the significant figures for Belgium were three penalty corners, three goals. Belgium continued to seek chances as they looked to up their goal difference to try and take top spot in the pool, they were denied this by a combination of things. Gowan Jones was impressive in goal, South Africa defended better, and Belgium were wasteful of their opportunities. 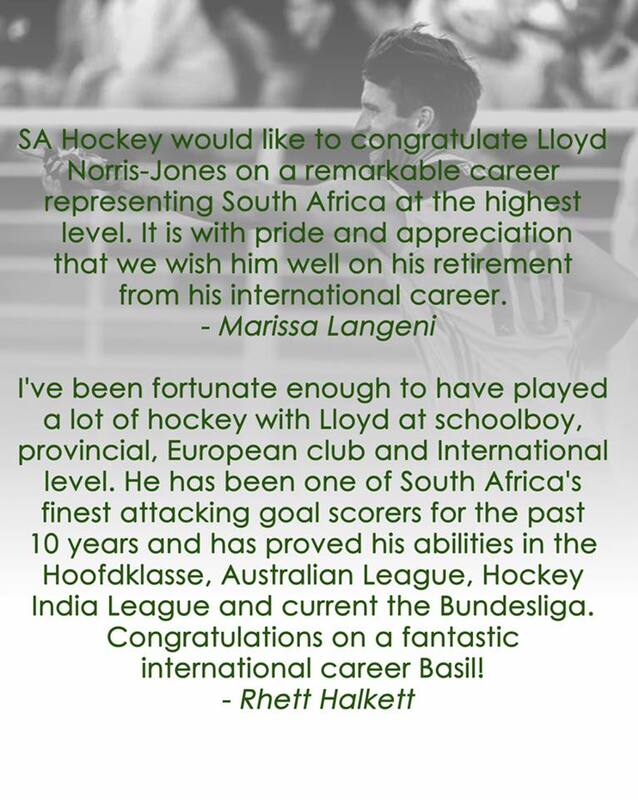 For South Africa there will be a short amount of time before the SA Men return to India for the Hockey Series Finals in July 2019, an Olympic Qualifying tournament. There were signs of an improvement for the South African men in the tournament, with some new young players getting their opportunities, but there is a long journey ahead for the country to close the gap on the other nations. It was a pulsating match between the fifteenth ranked South Africa and Canada ranked four places higher in the second group C match up. With the both sides having lost their openers the match had added importance that the losers would face an early elimination from the FIH Hockey World Cup. The South African men also knew that previous coach Gregg Clark was in the Canadian camp, adding an extra bit of spice to the match. The South Africans started the match like the only team that wanted to win, Canada knew due to goal difference a draw would suit them slightly better and created numerous chances in the first half. The best opportunity of the half came through a superb piece of work by Nic Spooner down the left-hand side before setting up Bili Ntuli who was unable to direct his effort into the goal. South Africa were also awarded three penalty corners in the half with one superbly saved by David Carter. South Africa will be bitterly disappointed that they were unable to make their penalty corner dominance count throughout the match, but that one was nothing short of a world-class save. Having been mostly a spectator for the first half, Rassie Pieterse was called into action on the verge of half-time and produced a superb save to deny Scott Tupper. It was a reminder to the African Champions that all the pressure counted for nothing if they couldn’t put a goal on the scoresheet. The goal however did come for the South Africans in the second half and it was superb and emotional. Bili Ntuli, whose brother Sihle Ntuli is one of the Assistant Coaches, received the ball under immense pressure, created space for himself and shot a beautiful tomahawk into the corner. 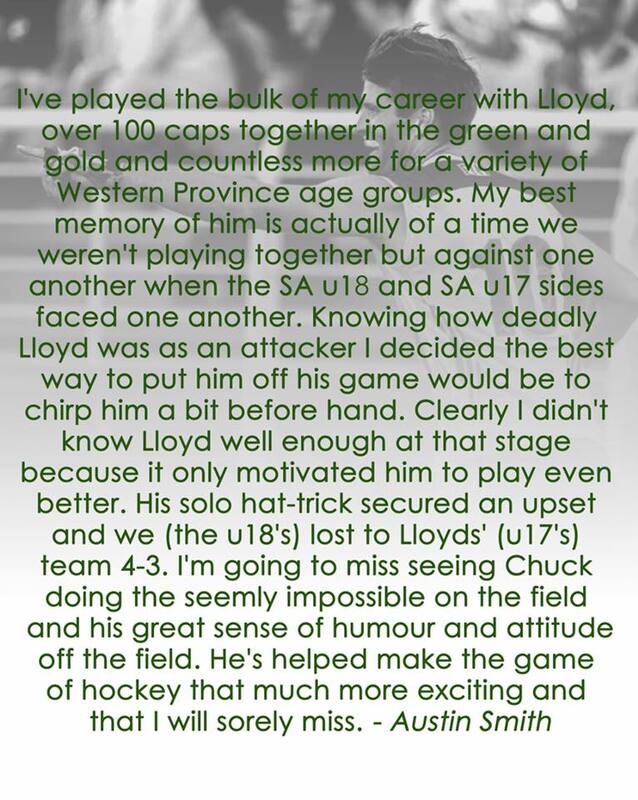 The Ntuli brother’s younger sister passed away in February and it was clearly an emotional moment for the younger brother who wanted to score at the World Cup in honour of his late sister. The lead would not last long enough and Canada levelled when their second penalty corner beat Gowan Jones and hit Rhett Halketts foot on the line. The Penalty stroke, rightfully awarded, was dispatched by Scott Tupper. South Africa would create numerous goal-scoring opportunities late on including four penalty corners but were unable to finish one of them. It was clear at the final whistle that the Canadians were the happier of the two sides knowing they had escaped with a point and that South Africa would have it all to do in the final group game where goal difference is not in our favour. The South African Hockey Men began the 14th FIH Hockey World Cup with a humbling 5-0 defeat to India. In the 12th encounter between the two nations, India underlined their dominance with their seventh victory. The game marked 100 caps for Jethro Eustice who scored the goal that qualified South Africa for the World Cup in the final of the African Hockey Cup of Nations in 2017. India may have been expected to be nervous playing in front of an expectant capacity crowd at the Kalinga stadium looking to the country to end 43 years of hurt. The young Indian side though showed no signs of it in dominant opening 15 minutes. Their dominant opening bore fruit as early as the 10th minute as Rassie Pieterse denied Simranjeet but Mandeep Singh was on hand to smash the ball home. It got even better for the vociferous home crowd when a superb bit of combination play saw Akashdeep Singh finish off leaving Rassie Pieterse no chance. The second quarter saw the South African men revert to a more defensive approach which quickly produced a more balance quarter of hockey. In fact, in the quarter both sides had 6 circle entries and one shot on goal as the SA Men’s nerves seemed to settle. The score remained 2-0 at half-time. It was a score line that was probably reflective of the opening half and meant South Africa would have to find another gear to get back into the game. And for ten minutes in the third quarter it felt like South Africa were finally getting a foothold in the game with better possession, better movement and better time on the ball for the flare players in Julian Hykes, Taine Paton and Nic Spooner. Having created two good scoring opportunities including a penalty corner, South Africa were left floored when India showed the difference in class between the two sides with a superb double strike. First there was defensive uncertainty for South Africa allowing Simranjeet Singh to net before Lalit Upadhyay showed all strikers how it’s done with a splendid deflection. The double strike right on the end of the third quarter took any wind out of the South African sails and settled the result for the hosts. The final quarter did not maintain the intensity of the first three as both teams cast their eyes towards their next games. There was one further goal for India as Simranjeet Singh made it 5-0 when he finished off another penalty corner variation from the hosts to confine the South Africans to a bruising final score of 5-0. For India a table topping decider against Belgium await them next, while South Africa would be looking to the match against Canada as the route to the cross overs.